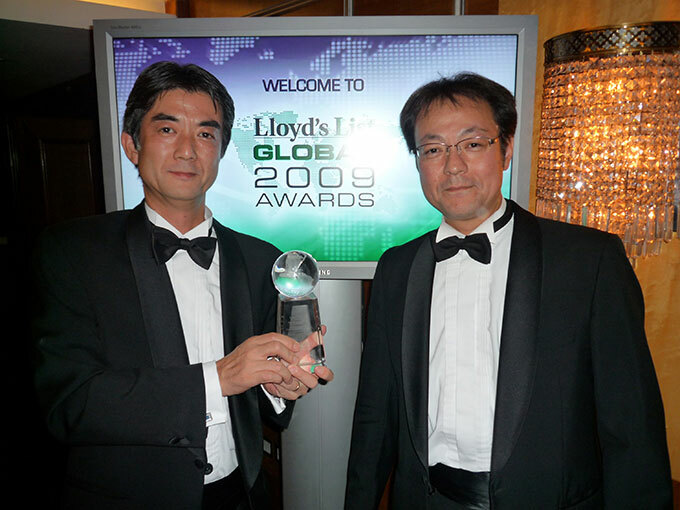 Daikin Industries, Ltd. won the Energy Award at the 2009 Lloyd's List Global Awards ceremony held in London on September 8th, 2009 for its contribution to lessening environmental impact by seeking various application fields for ZEFFLE IR Coating such as for factories, vessels, containers and tanks. ZEFFLE IR Coating applies a fluoropolymer-based coating to surfaces such as building roofs and ship decks to curb the rise of interior temperatures by reflecting sunlight. As a result, the coating reduces air conditioning load and adds to greater energy savings. Also, it contributes to a reduction in emissions of volatile compounds through the application on chemical tanks. Since fluorochemical coating such as ZEFFLE are very resistant to corrosion and weathering, the reflective effect lasts for a long period of time and minimizes the number of coating applications required.